A business that is not protecting it's vital data. A business that is dead, but just doesn't know it yet. Q: Do you backup your data to tape, DVD, USB drive, or some other media? A: Even so, 40-50% of reusable media backups are not fully recoverable. Q: Have you replaced your tapes in the last six months? A: If not, your tape backup is likely useless! Q: Do you regularly verify your data and do a test restore? A: If not, there's a good chance that your backups are corrupt and unusable. Q: Was a file accidentally deleted last week and you didn't notice until today? A: You're probably out of luck! Q: What will you do if you lose your carefully crafted documents, those engineering files, all of your email and contacts, or every shred of accounting data that runs your business every day? A: Do you even want to think about it? With over 27 years in the IT business, ICON can assure you that YOU WILL SUFFER MAJOR DATA LOSS. It's only a matter of when it will happen, and how much data you will lose. Over 60% of companies that lose their data will close down within 6 months, and 72% of businesses that suffer data loss disappear within 24 months. Join us and see how ICON's AntiZombie can save you from your Zombie fate. 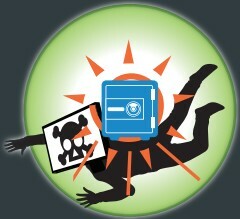 Protect your vital data every day and let RemBack come to the rescue, as it has for nearly every client that uses it. Simply contact us to start protecting your business today!